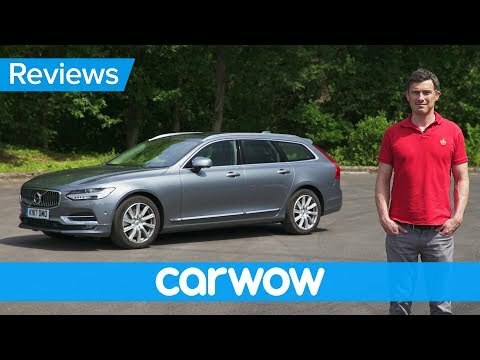 The 2018 Volvo V90 is the flagship wagon from the Swedish automaker, a premium hauler of people and gear that blends upscale amenities, striking design and an arsenal of safety and driving aids. The V90 Cross Country is a standout alternative to luxury SUVs, boasting all-wheel drive and extra ground clearance while retaining the driving manners of a stately sedan. Car drives really well and is very smooth, however there are times when the car pulls to the right and left. The car as a whole is very reliable. Sound system is excellent but the apple reliability is spotty and slow to start. The gas is also a bit spotty. Car is very stable and reliable. Drives like a high end luxury car and is extremely comfortable. The dealership was incredibly helpful and their service is impeccable. This is the fourth Volvo I have owned and will continue to buy them for years to come. Has great pick up and safety features.